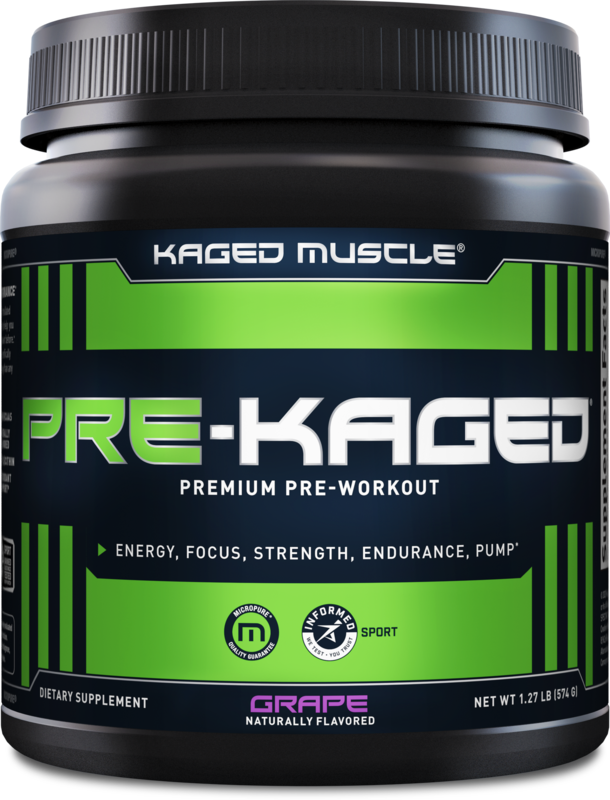 Kaged Muscle Pre-Kaged: Crazy Loaded Pre Workout Supplement! As a dietary supplement, mix one scoop with 16-20 ounces of cold water in a shaker bottle 30 to 45 minutes before workout. Continue to shake bottle lightly between sips and drink entirely between 25 minutes of mixing. Contains 274 mg of caffeine per serving or about as much caffeine as two and a half cups of coffee. Avoid using with other caffeinated products or if you are sensitive to caffeine because too much caffeine may cause nervousness, irritability, sleeplessness and occasionally, rapid heartbeat. Consult your physician prior to using this product if you are pregnant, nursing, under 18 years of age, taking medication or have a medical condition. Immediately discontinue use and contact your physician if any adverse reactions occur. Keep out of reach of children. Exposure to moisture or heat may cause powder to clump or harden. Store in a cool, dry place away from direct sunlight, humidity and high temperatures. Replace lid securely after each use. This produc contains a silica gel pack. Do Not Eat. Contents may settle during shipping. Sold by weight, not volume. Natural flavors, Malic acid, beet root extract (color), sunflower lecithin, citric acid, sea salt, stevia, sucralose, silicon dioxide, calcium silicate. Malic acid, natural flavors, beet root extract (color), sunflower lecithin, citric acid, sea salt, stevia, sucralose, silicon dioxide, calcium silicate. Branch Warren has joined Kaged Muscle, and the team has already put out some EPIC video content. Grab your Pre-Kaged and Get Ready for TEXAS LEG DAY! Kaged Muscle has released a new workout app that gives you FREE training programs from Kris Gethin, Fouad Abiad, & Tawna Eubanks plus nutrition tools! Jul 20, 2015 Kaged Muscle Pre-Kaged: Kris Gethin’s Monster Pre Workout! 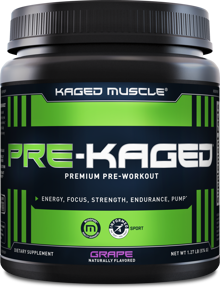 Pre-Kaged is Kris Gethin's amazingly loaded pre workout supplement with a slant towards the natural side! See our review below! ^^ After reading the above blog post and seeing the video, you'll understand why it's a long-time member on our best pre workout supplement buyer's guide, and is listed all over the place! Berry Blast This is a Buy 1 Get 1 FREE offer! Krisp Apple This is a Buy 1 Get 1 FREE offer! Orange Krush This is a Buy 1 Get 1 FREE offer!